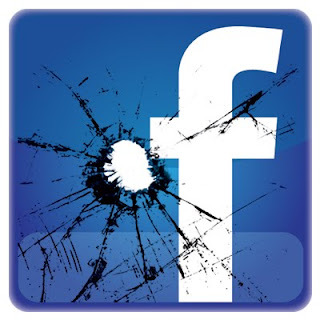 An upheaval has been projected by the recent Security, Privacy Feature update by Facebook! A group protesting Facebook's privacy policies gave a shoutout that 30,000 people had heeded it's call to quit the social networking giant. "For us it comes down to two things: fair choices and best intentions. In our view, Facebook doesn't do a good job in either department," the organizers, who did not identify themselves, said on their website for Monday's "Quit Facebook Day." This statement became a Twitter Trend, as "Quit Facebook"! "Facebook gives you choices about how to manage your data, but they aren't fair choices." According to Google-AFP, "Facebook.com is visited monthly by 540 million people, or slightly more than 35 percent of the Internet population, according to Google data. Facebook is overhauling privacy controls in the face of a barrage of criticism that it is betraying the trust which has made it the world's biggest social network. Facebook redesigned its privacy settings page to provide a single control for content and "significantly reduce" the amount of information that is always visible to everyone. Facebook also said it is giving users more control over how outside applications or websites access information at the service. Critics continue to call for Facebook to make all user information private by default and then let people designate what they want to share case-by-case in an "opt-in" model." Now, the interesting trend to see is will Facebook be able to hold back or call back the lost opportunities ?? Or will any other social networking site benefit from here!